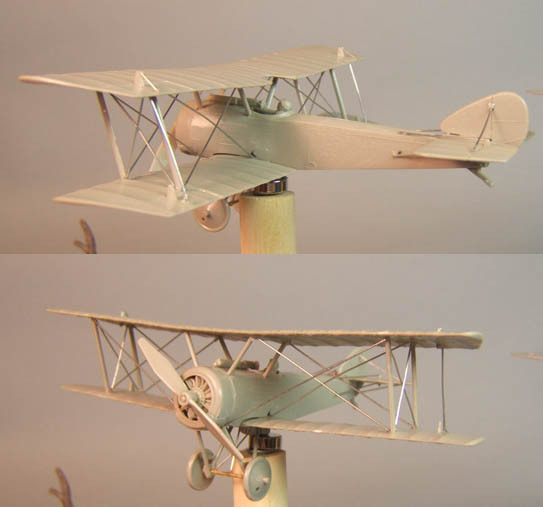 Almost finished with the rigging on the Sopwith Pup. I screwed a few things up, and it's not the cleanest bit of modeling, but it's my first one and 1/72 scale isn't exactly large. I forgot a second (forward) tail stabilizer on each side. I will go back and finish that. I also put together (minus pilot) the Albatros D.V. This is the last of the original 3 Airfix planes I had. So, my question is... do I continue rigging all the planes? Some of them are far more involved than the pup. I'm trying to weigh the time & effort involved (which is significant, but not a horrible experience) with the fact that these are for playing games, not just display. So I've got some concerns about durability as well. 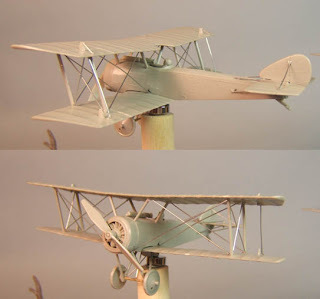 The manufacturers are Eduard and Roden, and I can already see that they are better than the Airfix DR.1 and Albatross. 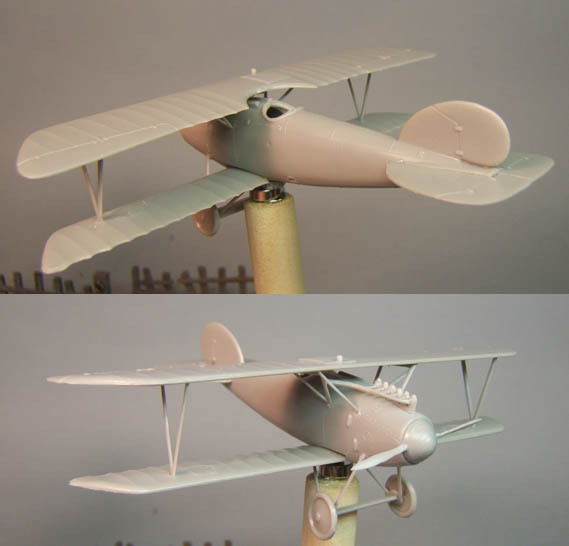 The Airfix Pup was really a nice plane and of similar quality to the new ones I got, though. Ordering a (some) flight stand(s) tonight. As I've been inhaling all nature of unhealthy fumes while working on that first plane, I've been wondering... Why does Snoopy fly a Camel rather than a Pup? That rigging looks great! The information I had about rigging from TMP suggested that it made the models stronger, do you think that is true? I don't know if they are stronger. I don't think I've got enough experience to compare, but I would imagine that it couldnt hurt, as long as we don't have to deal with the rigging itself falling apart and becoming a maintenance liability. If you decide to do some more mail order,check out Scalehobbyist.com.They have some great prices,and it looks like 65+ kits in your scale. I think scalehobbyist.com is going to be my new best friend. Thank you. Youre welcome. I've only done one of those kits(R's Bristol 2 seater) and I said never again. I'm not much of a precision modeler. A good part of it is that I just love the planes and enjoy the game. I thought about WH's Great War rules with the half price sale,coupled with the ton of nice 1/72 plastics.Zvezda,especially( I have always wanted to do Tannenburg/Masurian lakes! )However,my birthday money went in another direction,15mm Sci-fi. hey nice work on the rigging. i play Canvas egles in 1/144 scal so its a bit small for rigging but i concidered using fuse wire - have you thought of trying that out?